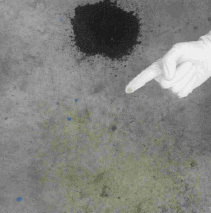 Absorbent powder is the easiest and quickest solution to clean up accidental spills of dangerous and polluting substances. A quick response with the right products in these cases ensures effective and immediate clean-up of worksites or transit environments. Sepiolite is still the most used powder to remove oil stains from surfaces. 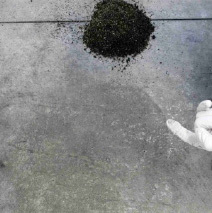 However, it’s a poorly performing solution, due to the large quantity of product needed, with high waste volumes, and to the less-than-perfect cleaning of the floors. 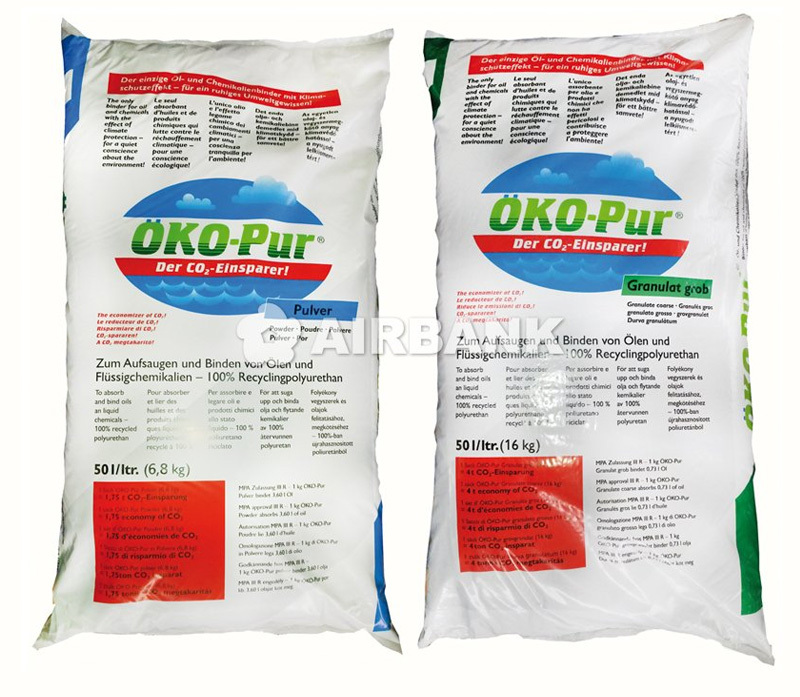 Airbank has compared the performance of this traditional mineral with its innovative absorbent products Firesorb, Stone Universal Sorb and Oko-Pur. The results of the tests, carried out at the company&apos;s lab, are significant. 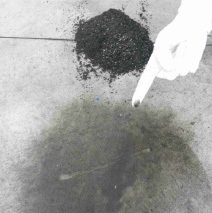 To carry out the tests, a block of cement was stained with 100 grams of waste oil (one of the most difficult oils to absorb), which was then absorbed with a known quantity of products. For each test, the powder used was weighted in a glass, using enough powder to completely absorb the stain. The first test was carried out using the sepiolite. To absorb the 100 g oil stain, 4 powder glasses were used (600 grams). The absorption power was 16.7%. At the end of the test, the surface was still soiled and oily. 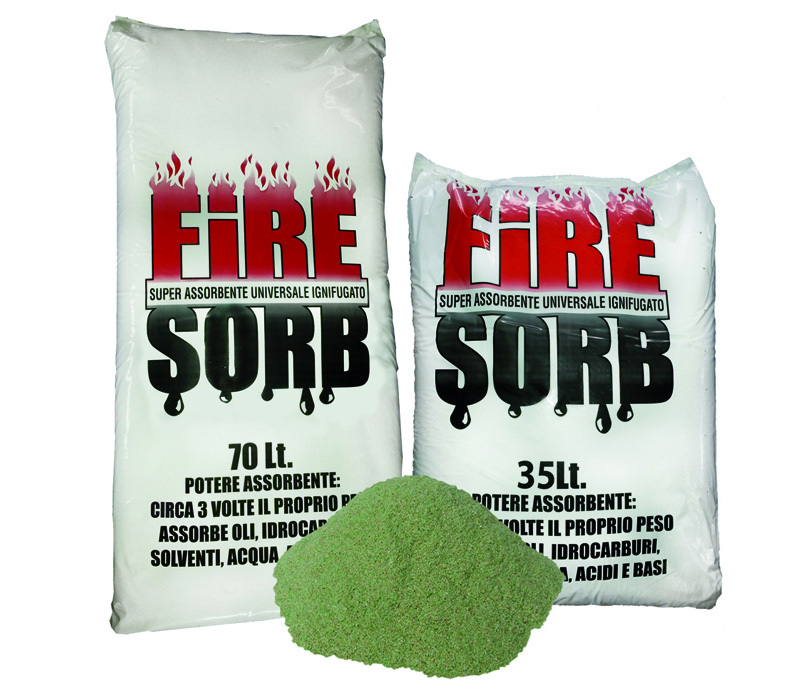 The first test was carried out using Firesorb. In this case, to absorb the same oil stain, 2.5 glasses of powder were used (100 grams). Firesorb absorption power was 100% (6 time higher than sepiolite’s). RESULT At the end of the test, the surface was clean and not oily. 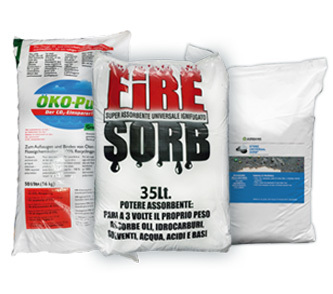 Fireproof plant-based absorbent for all liquids. 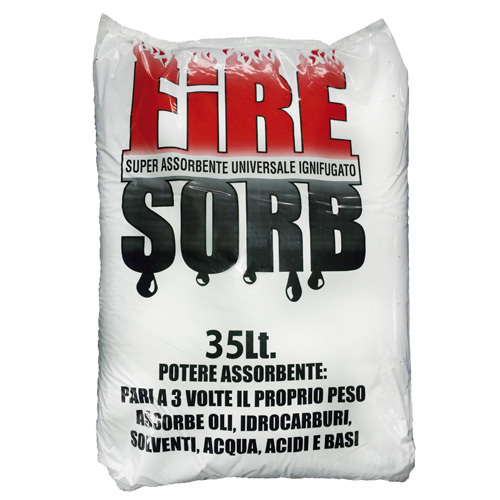 FIRESORB is a fireproof absorbent composed of spruce granules treated at 800°C which are able to absorb all types of liquids, oils, solvents, inks, acids, bases, chemical products and fatty substances. The second test has been carried out using Stone Universal Sorb. With Stone Universal Sorb, 2 glassed of powder were used (70 g): absorption power of 143% (8.5 times higher than sepiolite’s). 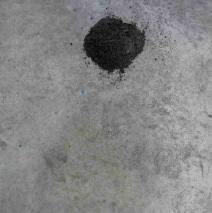 RESULT At the end of the test, the surface is not oily and with few residues. Is a natural mineral absorbent for oils, solvents, thinners, acids, paints, inks, lubricants, refrigerant lubricants, fats and food products. 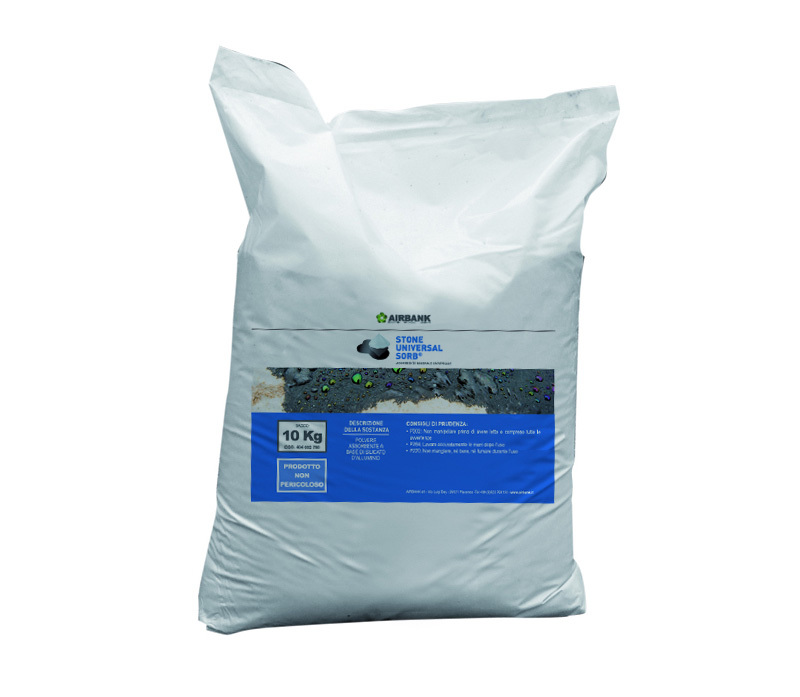 Stone Universal Sorb absorbs any liquid or semi-liquid product of organic, inorganic, synthetic or natural origin, from absolutely any surface. The last test has been carried out using OKO-PUR. This powder was the most performing: to absorb the 100 g oil stain, 1.7 glasses were used (50 g). Its absorption power was 200% (12 time higher than sepiolite’s). Furthermore, differently from sepiolite, at the end of the test the surface was perfectly clean and not oily, thus it was possible to transit over it without any risk. RESULT At the end of the test, the surface was perfectly clean and not oily. Full saturation oil binder in powder and granulate form. 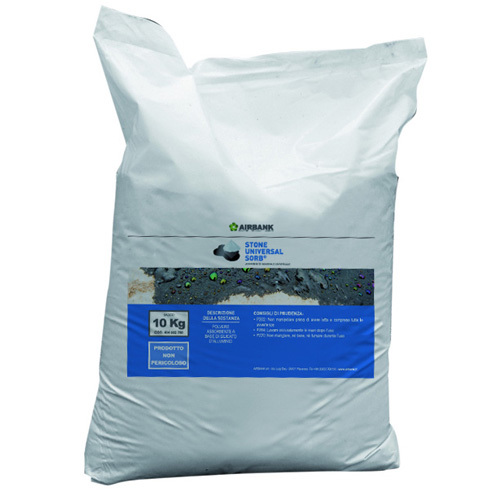 Specially designed to absorb oil, grease, petrol, diesel oil, paints and chemicals on the floor of working areas. It is a user-friendly product, with unique features. 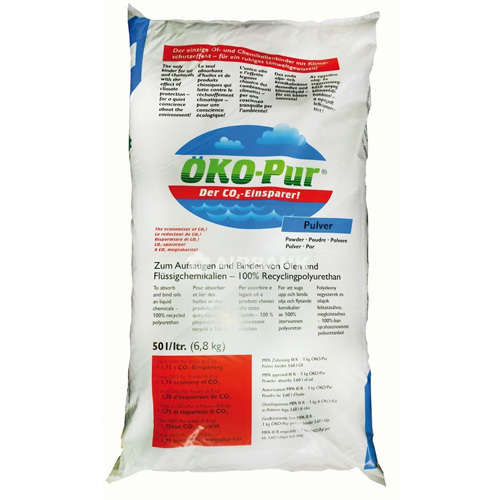 For example, OKO-PUR can even absorb oil in water, forming large agglomerations which can then be easily disposed of.